Regional poet Raymond Neely has always lived in or near to Pipestem, WV, in the Appalachian Mountains of southern West Virginia, and was educated at Concord College, now Concord University, of Athens, West Virginia, where he earned a BA in English composition. 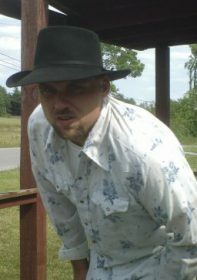 His poetry exhibits and embodies the present day poetic mind of thriving Appalachia. He is published in ALCA lines, Stitches, Appalachian Journal, The Bluestone Review, Holler, Wee Witty Whimsies, Appalachian Writers online publication, and The Muse. Rife with romanticism, lightly laced with metaphoric eroticism, grounded in the roots of trees and singing to the stars with the sounds of pure poetry, each line within The Pathway is a living entity, a making of the muse. if you were a tree. for me, my mind and life. all that is does give. and allow to live my labors’ love. You make me hear its sounds and cries. 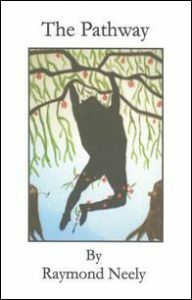 Raymond Neely’s poetry is scenic of Pipestem and the surrounding areas, and is definitive about the present-day poetic mind of thriving Appalachia. 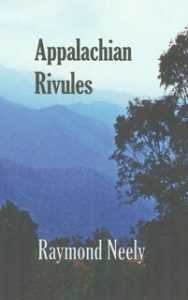 From grim coal-mining realities to captivating mountain serenity, Appalachian Rivules interweaves nature and humanity, reality and poeticism to deliver wise insights into what it’s like to exist along the back roads and between the hills of West Virginia. and portions of men’s lives. toxic wash puddles and streams.